November 19, 2018 – Fabrice wants to be known for honesty – especially in his accounting profession! This semester, he is hoping to take the first steps toward becoming a certified CPA! July 7, 2018 – This last year was Fabrice’s second year in university, he learned to work with other students to form study groups to stay on top of his studies. This was especially helpful when he got sick and had to miss some school. Through working hard, help from classmates, and prayer he was able to finish the school year strong! 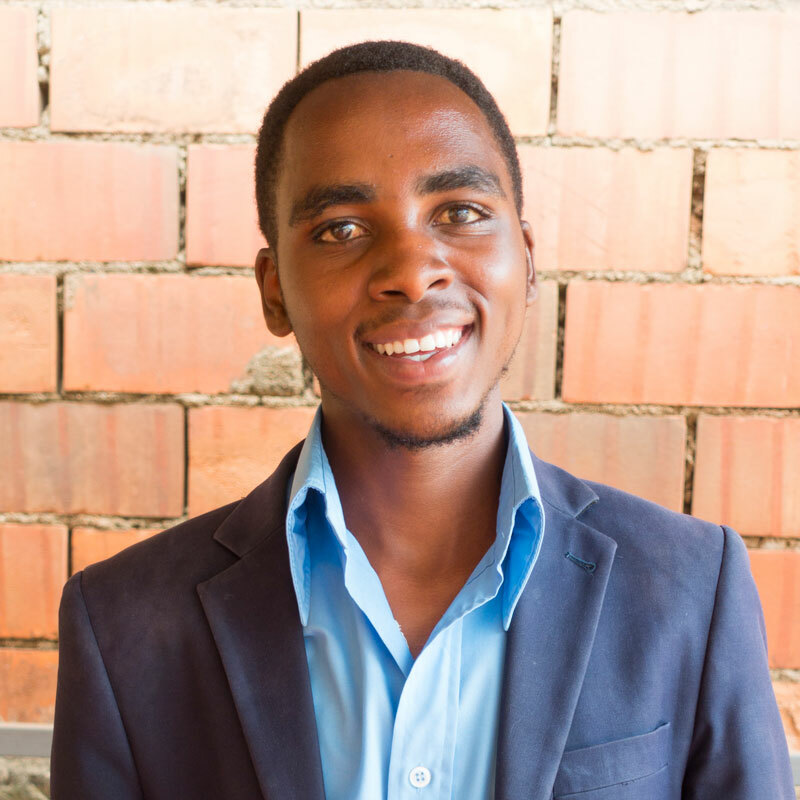 This summer, he is looking forward to doing an internship at a health center where he will be helping them record data. He is hoping this will help him to gain experience and knowledge in this field! May 12, 2018 – Fabrice values humility and hard work, because humble people are easy to connect with and hard work helps people achieve their goals! March 25, 2018 – When Fabrice was younger, he wanted to be a doctor because his mother was sick a lot and he always wanted to be able to help her! In five years, he is planning on having his bachelor’s degree in Business Administration! Feb 27, 2018 – In high school Fabrice’s nickname was Pastor, because he was always preaching the word of God! The person who inspires Fabrice the most is his mother, he said she always works hard for the betterment of her family, and encourages and believes in his dreams! Jan 25, 2018 – Fabrice said the most interesting book he has read recently was Corruption in Africa. Dec 18, 2017 – For Fabrice, a big part of Christmas is when families come from all the different cities and villages to spend time with each other! A word Fabrice thinks his friends would describe him as is “shy” because he tends to keep quiet. Oct 8, 2017 – Fabrice spent his summer volunteering with a local health center feeding little children, this was an experience that meant a lot to him. This fall he is looking forward to the monthly leadership trainings provided by These Numbers Have Faces, and hopes they will help to improve his leadership skills. Fabrice is the oldest of six boys in his family. His dad is a primary school teacher and his mother stays home to raise the younger boys. Fabrice grew up in a diverse community, which has had a profound impact on him. He said it is his inspiration and motivation to further his education so that he can contribute to his community’s development. While Fabrice pursues a degree in Finance, his long-term vision is to become a leader in his community, providing direction and support to those around him. He also wishes to be a role model to his younger brothers and other children in his village, encouraging them to choose education over complacency.